"It is a riddle, wrapped in a mystery, inside an enigma; but perhaps there is a key." Although non-EU alternative investment funds (AIFs), managed by non-EU alternative investment fund managers (AIFMs), are not permitted to market their products or services in the EU, there is just the slightest room for manoeuvre with reverse solicitation. Reverse solicitation refers to investment in funds by investors in the EU on the exclusive initiative of those investors. AIFMD allows EU member states to maintain their private placement regimes both for non-EU AIFs managed by EU AIFMs (Article 36) and for EU AIFs managed by non-EU AIFMs (Article 42). However, non-EU AIFs managed by non-EU AIFMs appear to be frozen out of the EU (until 2015 or 2018, at least) unless European based investors make an approach to invest in such funds, using the so called reverse-solicitation route. What does AIFMD say about reverse solicitation? Recital 70 of AIFMD provides that “This directive should not affect the current situation, whereby a professional investor established in the European Union may invest in AIFs on its own initiative, irrespective of where the AIFM and/or the AIF is established". When read together it would seem that if investors initiate contact with the AIFM, rather than the AIFM approaching the investors, then AIFMD does not apply and the AIFM is not considered to be ‘marketing’. This process is known as reverse solicitation. What does ‘on its own initiative’ mean? Investing in an AIF ‘on own initiative’ potentially covers a range of circumstances: from an investor who once held shares of a non-EU AIF before the implementation of AIFMD and wants to invest in another non-EU AIF managed by the same manager; to an investor who sees information produced by a manager, whether AIF specific or not, and decides to make an investment on that basis. Yes, but in practice what does that mean? The key question for fund managers of non-EU AIFs is whether they can continue to generate investment in the way that they have always done, by publishing AIF related content on websites, distributing brochures and pitch books, attending or presenting at capital introduction events and industry know-how seminars, and distributing business cards. 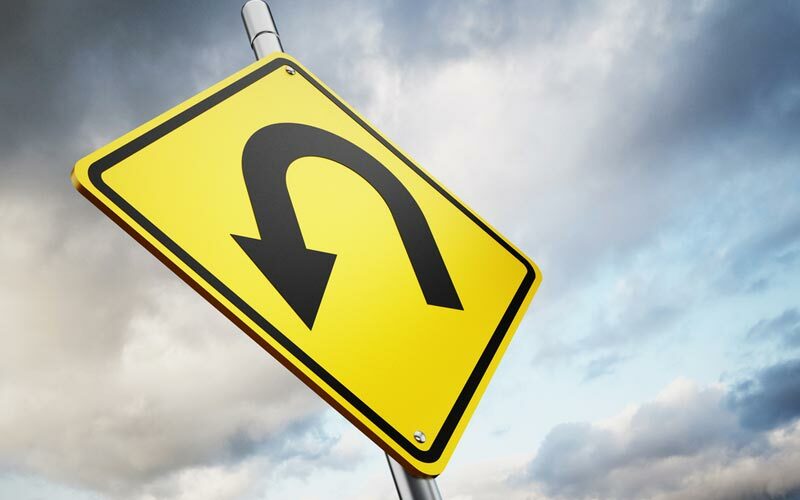 Unfortunately, when we are considering reverse solicitation, we are really speculating as neither the European Commission nor the European Securities and Markets Authority (ESMA) has published guidance on what “reverse solicitation” means. This leaves it up to the competent authority of each EU member state to make their own decision in relation to what they will decide amounts to “reverse solicitation”. Conflicting guidance has been issued by different competent authorities. For example, the UK Financial Conduct Authority (FCA) has stated that “a confirmation from the investor that the offering or placement of units of shares of the AIF was made at its initiative, should normally be sufficient to demonstrate that this is the case, provided this is obtained before the offer or placement takes place.” The FCA notes, however, that AIFMs should not be able to rely on such confirmations if they have been obtained to circumvent the requirements of the AIFMD. This seems to indicate that a reverse solicitation letter, on its own, might not be sufficient protection against regulatory censure. The AMF in France has given far more restrictive guidance, requiring, in effect, that the investor must have “specifically identified” the relevant AIF into which that investor wishes to invest. Most other member states have not provided any guidance on the issue. What is clear is that each competent authority reserves the right to disagree with the AIFM’s characterization of its marketing activity based on the facts and circumstances of each scenario. The inconsistent, or in some cases, complete lack of regulatory guidance across member states means that, by its nature, reverse solicitation must be approached with great care. In practice, while it may be possible for larger more established AIFMs with matching reputations/market presence to receive an approach from an EU investor at the investor's “own initiative”, this may be less likely for smaller AIFMs unless they already have carved out a market niche for themselves. Further complicating the issue is that each member state has interpreted and implemented the definition of “marketing” differently. For example, the UK has taken the view that "marketing" takes place when a person makes AIF units or shares "available for purchase" by a potential investor. However, other member states have taken a broader interpretation of the term "marketing". The concept of reverse solicitation also raises other practical problems in situations where the AIFM already has a number of contacts (either existing or potential investors) in the EU to which it might naturally think it should be able to continue a relationship. For example, it is unclear as to what extent an AIFM can discuss with such a contact an investment opportunity for which it is raising capital. In addition, an AIFM might have a relationship with an intermediary such as an investment consultant who would introduce investors to the AIFM and it cannot be assumed that this structure can qualify as "reverse solicitation". In circumstances where our understanding of what falls inside the scope of reverse solicitation is vague, it is perhaps apt that AIFMD does not set out specific penalties or sanctions for a breach of the marketing restrictions. Instead, where there is a breach of AIFMD marketing restrictions in a particular member state, it is left to that member state to determine what punishments are appropriate. In the UK, for example, where an AIFM unlawfully markets an AIF, such unlawful marketing qualifies as a criminal offence with possible fines and imprisonment. In Ireland breaches of AIFMD implementing legislation can be subject to the sanctions regime set out in Part IIIC of the Central Bank Act 1942. In addition, AIFMs should be aware that non-compliance with the AIFMD marketing regime raises not only the risk of regulatory enforcement by member state regulators, but also the risk of private law actions from disgruntled investors who may seek to recover their investment in a fund by claiming that the AIFM engaged in unlawful marketing. How can I rely upon reverse solicitation and protect myself against censure? Until there is ESMA guidance on what ESMA believes reverse solicitation ought to be, it will not be possible to build a water-tight defence against regulatory censure for breach of the AIFMD. As a result, more and more AIFMs are not building reverse solicitation into their plans on the basis that the more that an AIFM builds systems around receipt of orders from reverse solicitations, the more these systems seem to underscore the idea that such systems are designed to encourage investment and are therefore ‘marketing’. check on an ongoing basis whether EU member states have provided guidance on reverse solicitation. Non–EU AIFMs looking to attract EU investors to their AIFs should exercise caution. Until we know ESMA’s views, there is a very real possibility that systematic use of reverse solicitation as a strategy for raising investment will be considered to be marketing. Adopting the robust compliance processes and protective measures listed above may help to build a defense against censure but there can be no guarantee that such processes will be considered sufficient by national regulators.